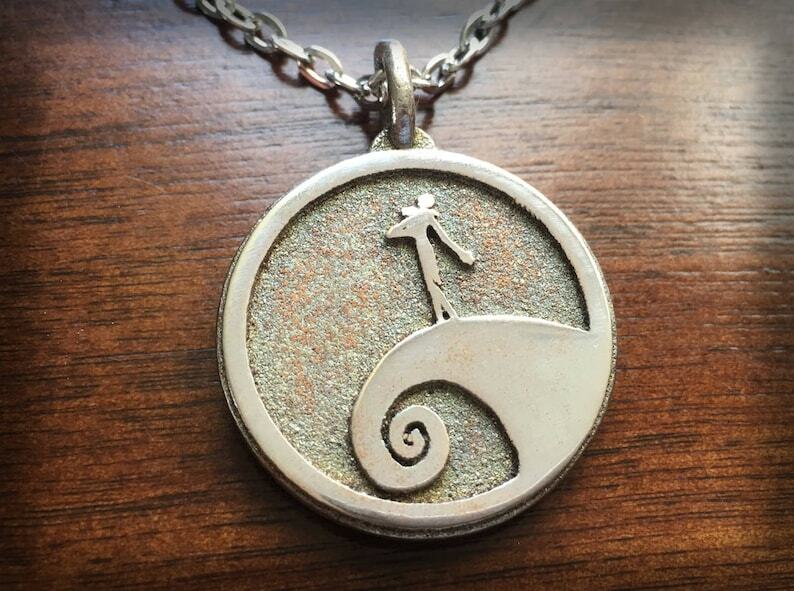 Double-sided pendant inspired by The Nightmare Before Christmas. Once again, another beautiful product. Simply put, it is perfect for all the Nightmare Before Christmas fans. Thanks again for a great sale. You’re awesome! The face huggers legs are very very sharp. If anyone hugs you it feel like a chest buster. Took it to a local jeweler to sand down pointy legs.